The astounding Japanese Spider Crab easily ranks as the largest known living arthropod, at least in terms of its prodigious leg span. Sadly, this incredible creature inhabits a rather seriously restricted zone of habitation, in a part of Asia. This renders it especially vulnerable to numerous threats. Like most species with such a restricted range of habitation, it remains especially vulnerable to the effects of climate change and habitat loss. Sadly for it, however, it also faces an additional threat, that of human hunger. Within its native range, this arthropod remains considered a great delicacy. 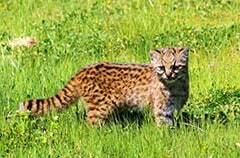 Unfortunately, the IUCN has not yet evaluated the status of this particular species. 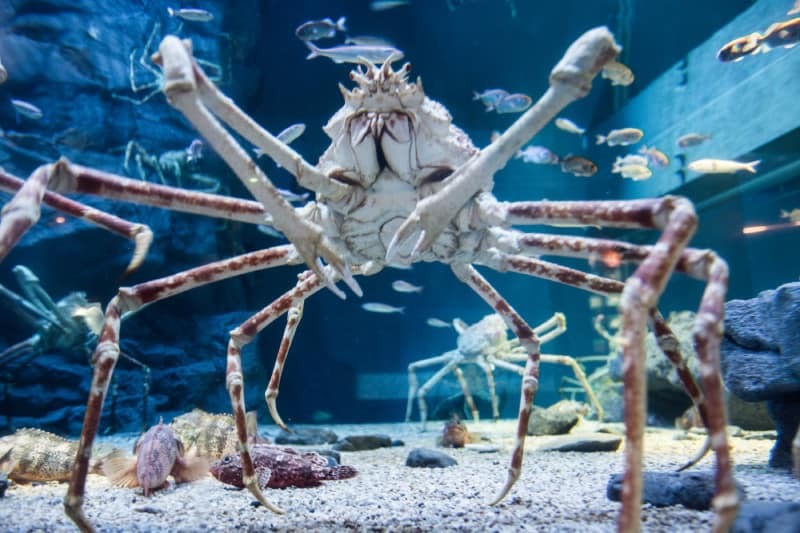 The shockingly huge Japanese Spider Crab develops a truly mind-boggling leg span that can reach up to as much as 18 ft (5.5 m) from claw to claw. Yet the body itself remains rather small in comparison to the legs. Its carapace typically only attains a relatively tiny diameter of 16 in (40 cm). The species does display a small degree of sexual dimorphism. In this case, the males display slightly longer chelipeds, also known as claws. Its overall coloring remains primarily a bright orange. However, multiple white spots generally develop as well, most especially along the out-sized legs. Exceptional specimens may weigh as much as 42 lbs (19 kg). This makes it the second heaviest known arthropod, only exceeded by the American Lobster. As its name suggests, the Japanese Spider Crab primarily exists in the waters off the southern coasts of the island of Honshu, in Japan. In addition, rather small and highly isolated populations have also been found off the coasts of the Iwate Prefecture, and of Taiwan. Typically, the arthropod inhabits waters at depths ranging from 160 – 1,970 ft (50 – 600 m). Individuals most commonly inhabit either holes or vents on the ocean floor. The Japanese Spider Crab evolved as an omnivore, consuming both plant matter and animals. It also sometimes feeds as a scavenger, seemingly opportunistically. 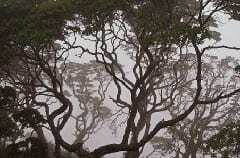 Its precise lifespan remains uncertain, yet estimates place it at about 100 years.